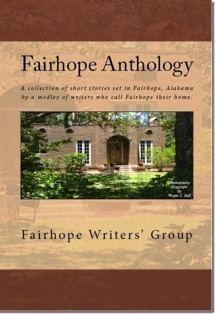 Fairhope Anthology is a delightful collection of stories—both fiction and nonfiction—set on Mobile’s Eastern Shore. 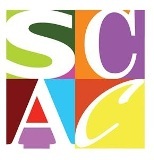 Contributors to the anthology include Mary Ardis, Vicki Armitage, Karen Bonvillain Bull, Roger Bull, Robert Glennon, Ken James, Ron Meszaros, Jule Moon, and Joe Worley. The beautiful idyllic communities along Mobile Bay—Fairhope, Point Clear, Daphne, Montrose—conjure feelings of charm and beauty, but most importantly, these lovely locales conjure stories. Here’s a sampling. Fairhope Anthology opens with “Esprit Voyage” by Karen Bonvillain Bull, a story that connects summer’s savage storms—our hurricanes—to personal loss. Bull skillfully ties the history of a violent storm that roared through coastal Alabama in 1906 with contemporary life. The tie is knotted via a little black crocheted purse with a colorful beaded camellia stitched on the front—the elegant little purse containing the record of past heartbreak. “A Drive in the DeSoto,” a short story by Ron Meszaros, is set just off Highway 98 in a tiny row house hastily built post-World War II. “A Drive in the DeSoto” is a blue-collar tale with high drama that reads like a TV soap, loaded with conflict and emotion. Some of the twists and turns are unexpected and the characters are memorable. “Night Terror” by Vicki Armitage, an excerpt from her memoir in-process, is the first non-fiction piece in the collection. No need to spoil the surprise—we’ll let the reader discover what the “terror” really is. “Mr. Horace’s New Orleans Style Roast Beef Poor Boy” by Roger Bull is the second non-fiction piece—a quest for the perfect Po’ Boy. Mission accomplished and taste buds satisfied in Fairhope. “Emmaline and Rosemary” by Jule Moon, a story of changing circumstances and enduring friendship, opens in Mobile in 1932, but ends in Fairhope many years later. “A Mystery Begins” by Mary Ardis is an excerpt from a novel in-process. I’m wondering if this might not be a series of books—Delta Girls Mysteries. Linda Busby Parker is the author of Seven Laurels, a novel, and she serves on the creative writing faculty at the University of South Alabama.